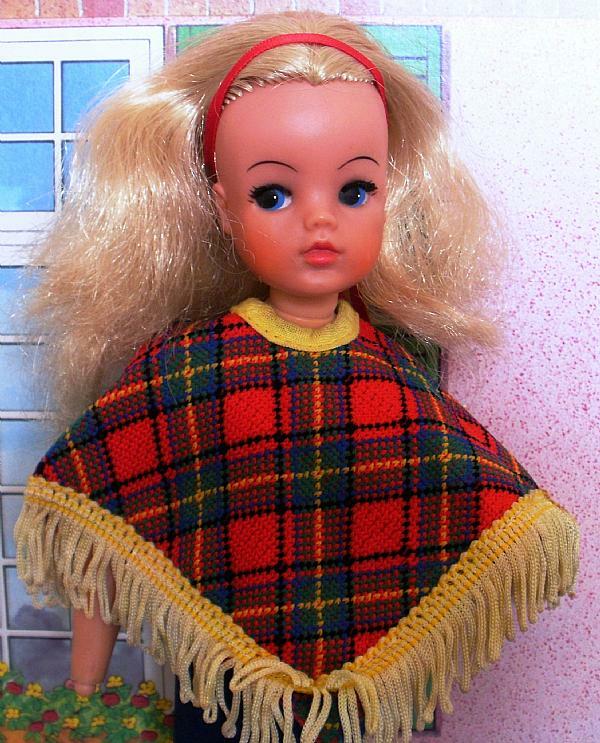 Welcome to my website dedicated to Pedigree Sindy Dolls! Like many collectors I had Sindy as a child. More recently, I've been collecting Sindy for about 2 years, after buying a copy of the Colette Mansell book "The History of Sindy", and a Sindy doll at a car boot sale, thinking it might be fun to have a Sindy again. This led to me retrieving my childhood Sindy from the loft, and one or two outfits I still had. Today the collection has grown from there, buying mostly from both ebay and car boot sales, and relying on a bargain as any collection like this has the potential to get very expensive! I have managed to build up quite a collection of dolls, clothes, houses and furniture. Most of my items aren't perfect, but they are still a lovely reflection of a much loved doll, and hopefully show that you don't need everything to be in mint condition! As a collector, I love looking at Sindy websites, and I hope to provide other Sindy enthusiasts with something that may interest them by publishing my collection. I'll be building this website as quickly as I can, in between family life with my very patient Husband, 2 children, a full time time job, and renovating my "do-it-upper" home. So, although it's not all here straight away, please look again when you can and I'd love to hear from anyone who shares my love of Sindy. You can send me a message via the contact me page by clicking on the Sindystar link, or visit my page on facebook. 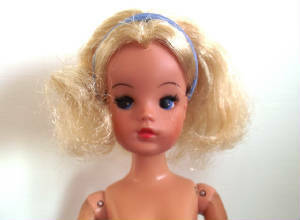 My first Sindy was a Christmas present from my parents around 1974. She was an "Active Sindy", with a double twist waist, hard head, riveted shoulder joints, and a double neck joint. She had ball and socket joints at the wrists and bending elbows and knees. 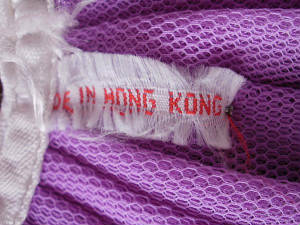 Her head was marked with 033050X and on her body it said MADE IN HONG KONG. She was the only Sindy Doll I had and was played with continuously for many years - hence she has since lost her hands which was a common casualty of this particular model. My favourite outfit as a child was actually released in 1970, a few years before I encountered Sindy. This red poncho with yellow fringe had elements of the Bay City Rollers about it and I loved it! It is seen in many photos worn with navy tights. Click on the photo below to find out more about my exciting Sindy Exhibition held in September 2013.